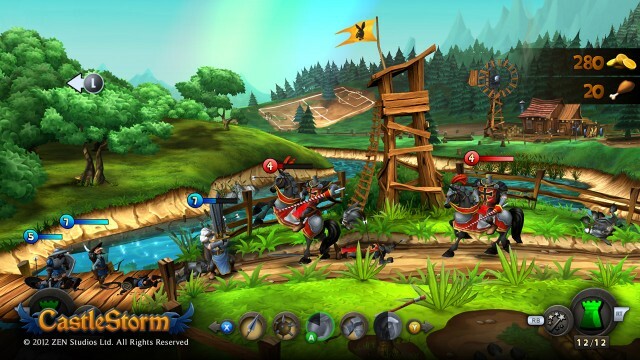 A new batch of CastleStorm screenshots have been released by Zen Studios for your enjoyment. The game is being described as “medieval castle vs. castle warfare physics based destruction real time strategy game” or “2D strategaction game” as our Guide Co-ordinator, Todd Schlickbernd, preferred when he got to see the game in action at this years E3. 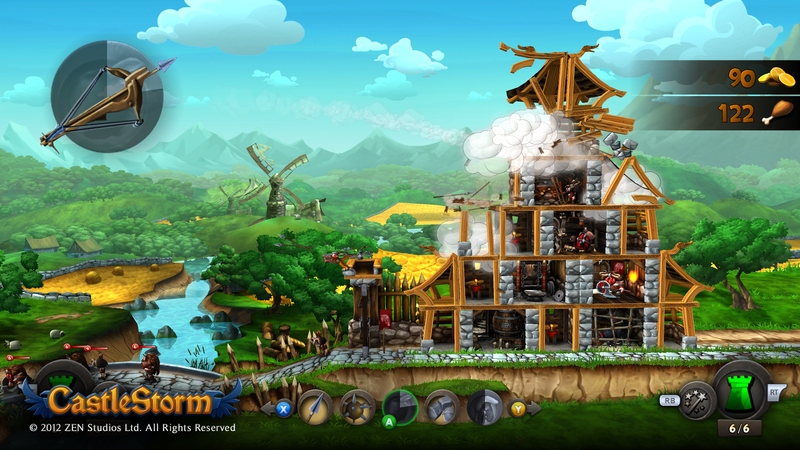 Zen has also released some free CastleStorm desktop wallpapers for you to download and kit yourself out with in preparation for when is published on XBLA later this year by Microsoft Game Studios. Head over to the official website for the wallpapers or hit the jump for the new screenshots. Pinball moguls, Zen Studios have announced their newest intellectual property, CastleStorm, and gamers will be interested to here that there’s not a flipper in sight. The game is being described as “a new breed of 2D archery projectile warfare and 2D physics-based structure destruction”. Set in a colourful medieval world, CastleStorm is set to bring a challenging mix of real time strategy and resource management to XBLA. Players will make use of a medieval ballista and launch an assortment of explosive weapons including Morningstars, Apple Grenades, Homing Eagles, and even flying sheep, as well as training a fearsome ground attack in the form of swordsmen, knights, and donkey riders, to defeat the onslaught of enemies trying to capture your flag and destroy your castle.